‘Remains’ is a big ring about the immense power of a substance that can seem so yielding; water. There is an immediate visual reference to the aerial view of a winding river, and yet that form is created by absence. A dry river bed, a chasm, a canyon are beautiful and stark monuments to the lasting effect of water. 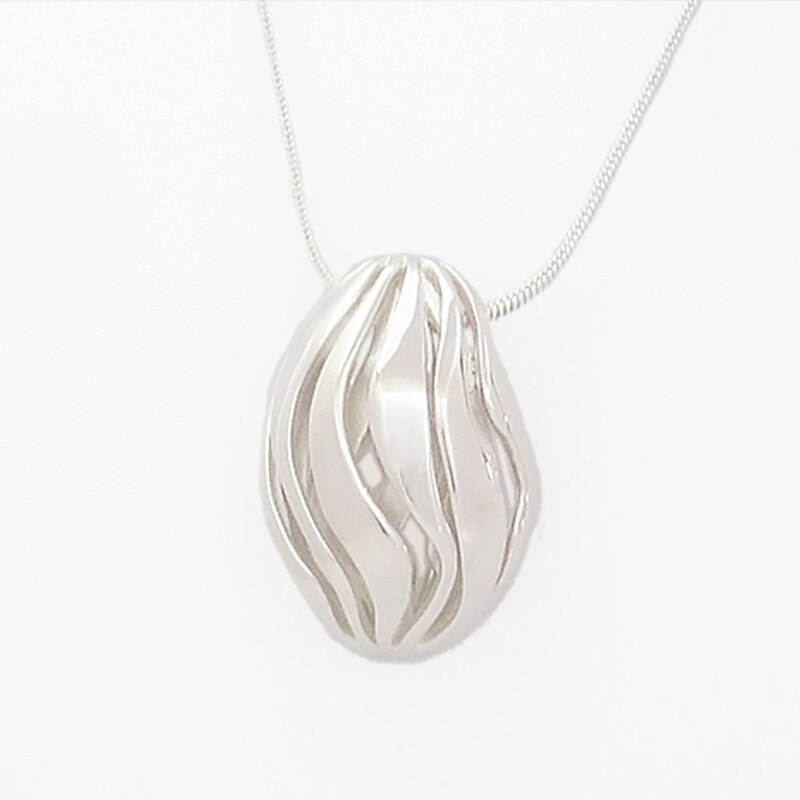 The shape of the steep walls and narrowness of the negative space coursing through the unconnected center of ‘Remains’ is completed by the skin of the wearer. 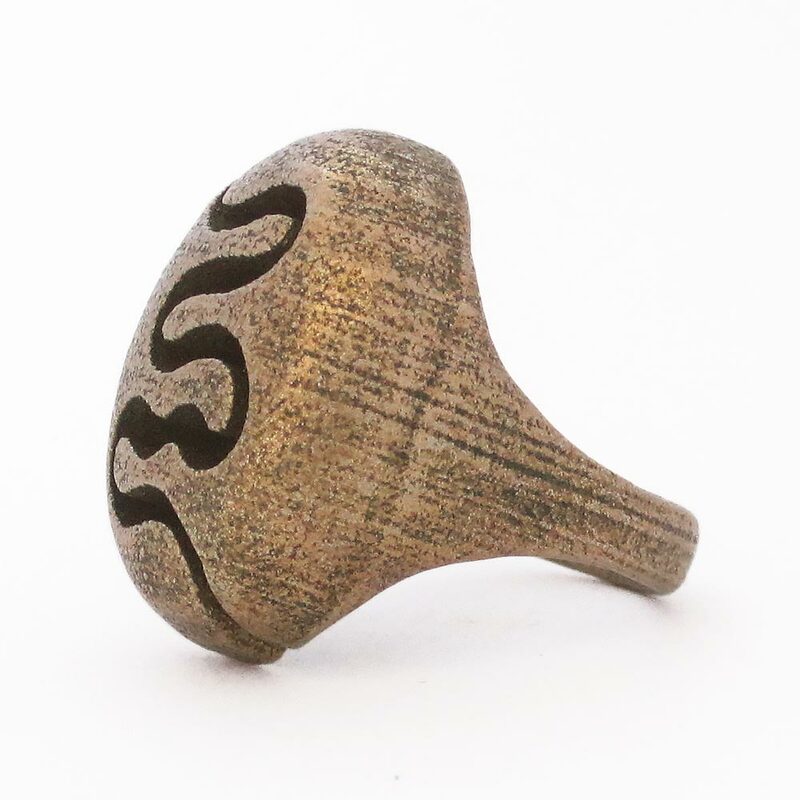 Slip on this big ring to carry the power of nature with you throughout your day. Big Rings are so much fun! 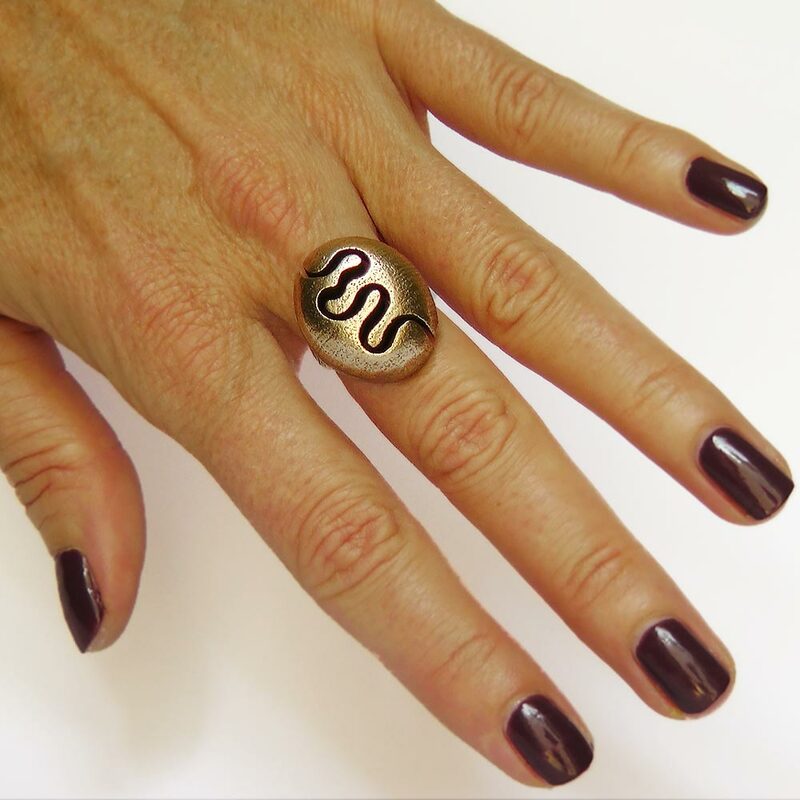 If you’re a veteran chunky jewelry addict, then you know how great ‘Remains’ will look on your hand. 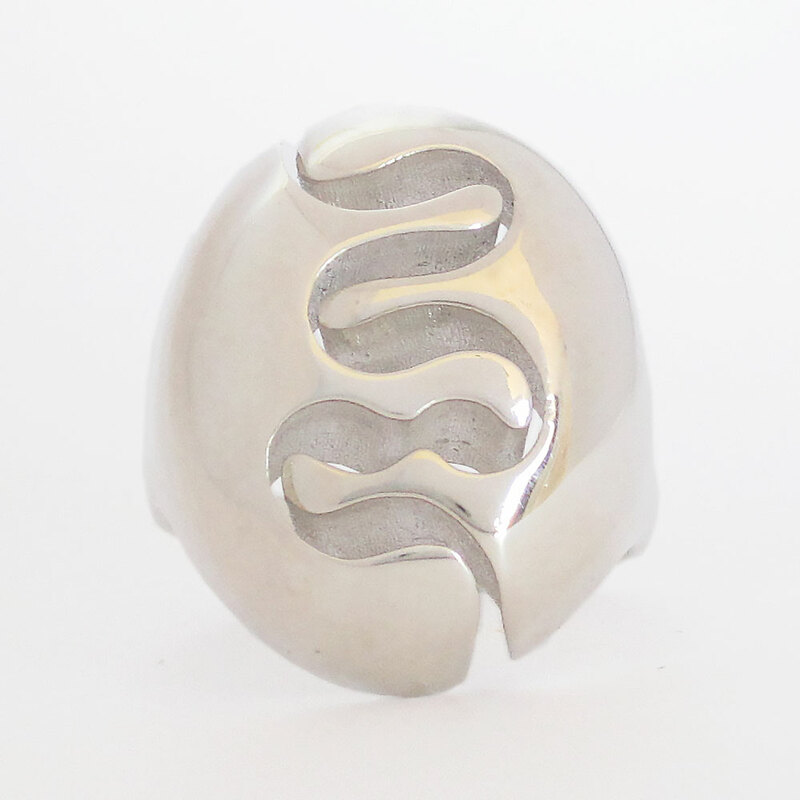 Are you just beginning to experiment with statement rings? This is a good place to start. 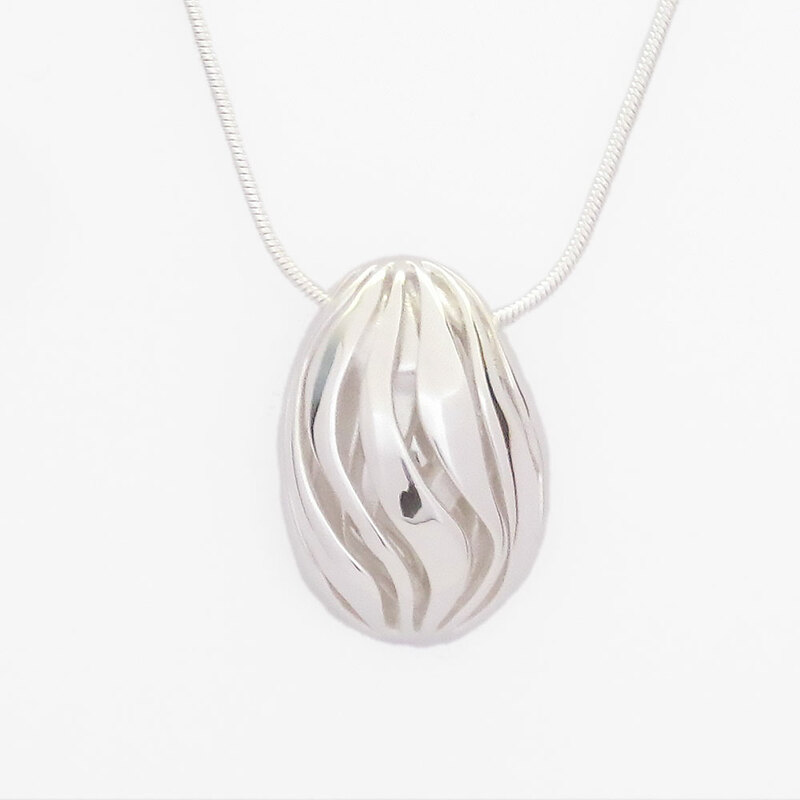 The oval shape compliments many hand types and makes it easy to mix and match with other pieces. 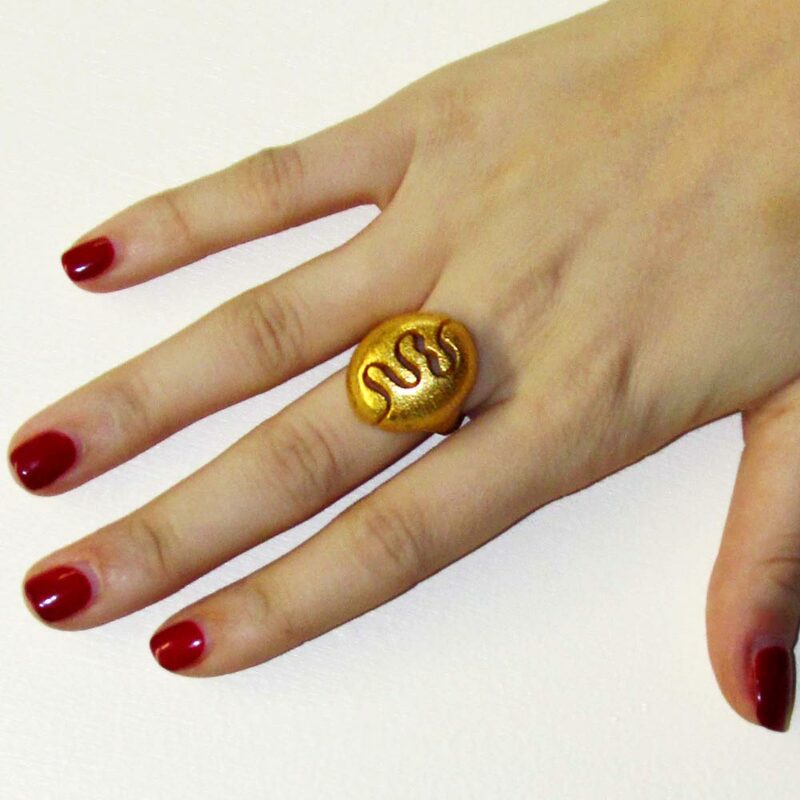 Wear this big ring on your index, middle or ring finger, its size and weight means it’s comfortable on any or all three. 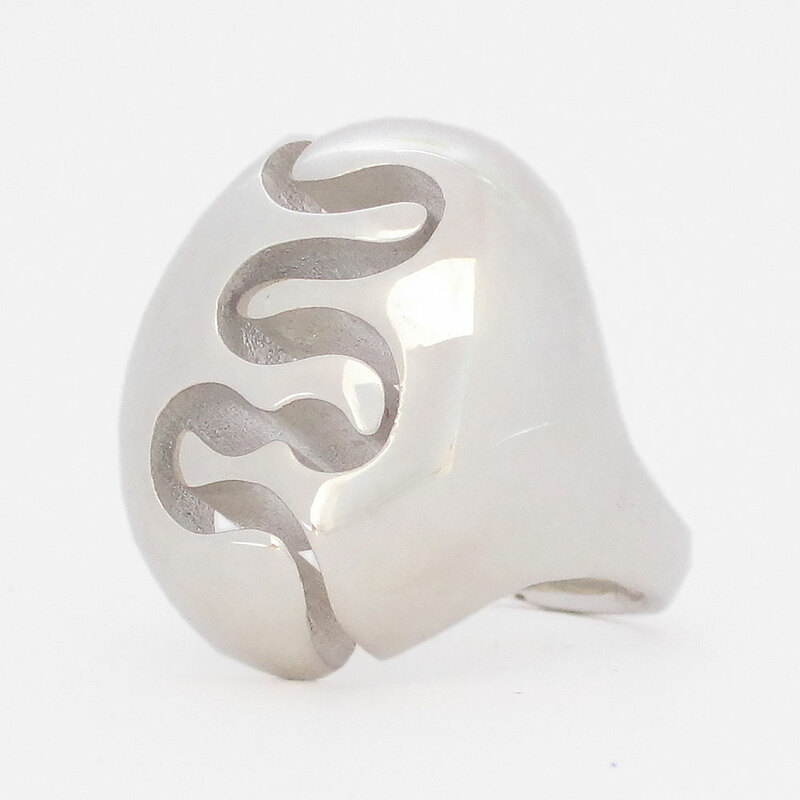 Line this ring up with others or let in it stand alone, you can’t go wrong! 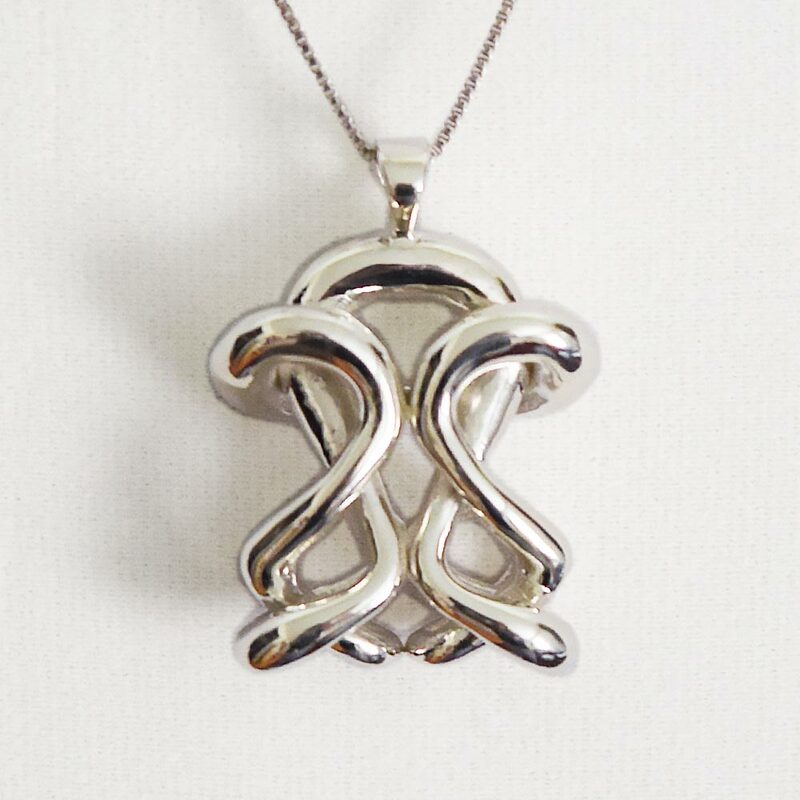 Do you prefer sterling silver and 14K gold, 18K gold or rose gold plated? 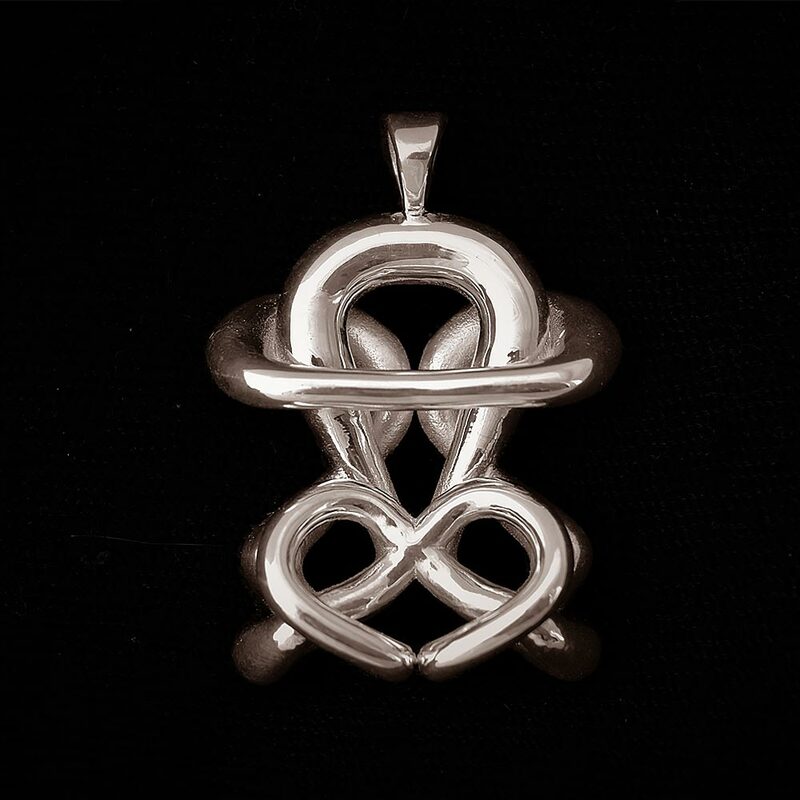 Check out our unique silver rings listing. 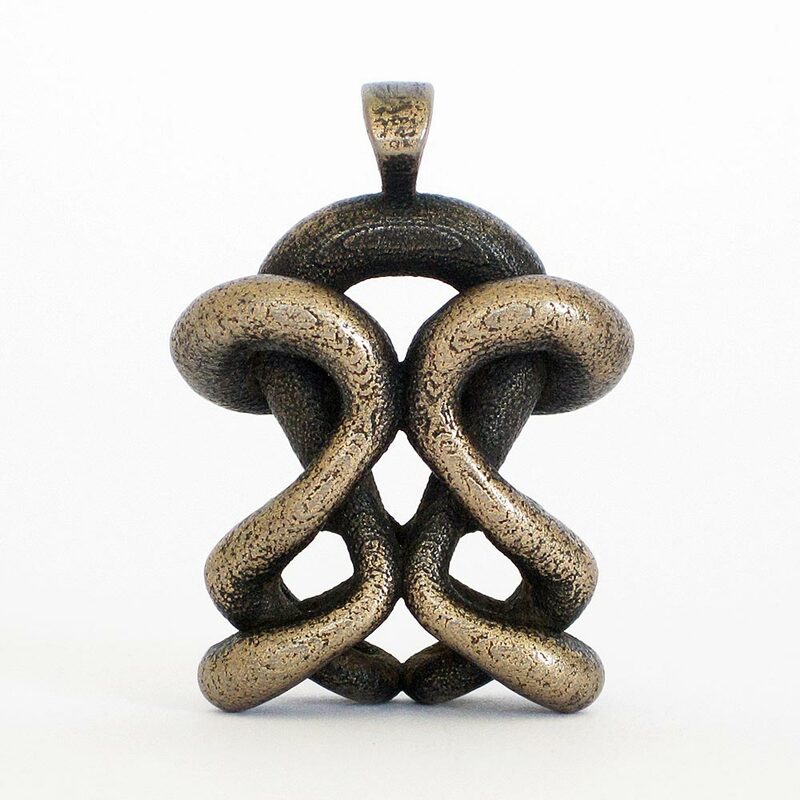 Our jewelry is 3D printed in stainless steel infused with bronze; some people’s skin can have a reaction due to the bronze content and turn green. Polished gold and polished nickel steel go through an electroplating process that deposits a 0.1 micron layer on the outside of the product. 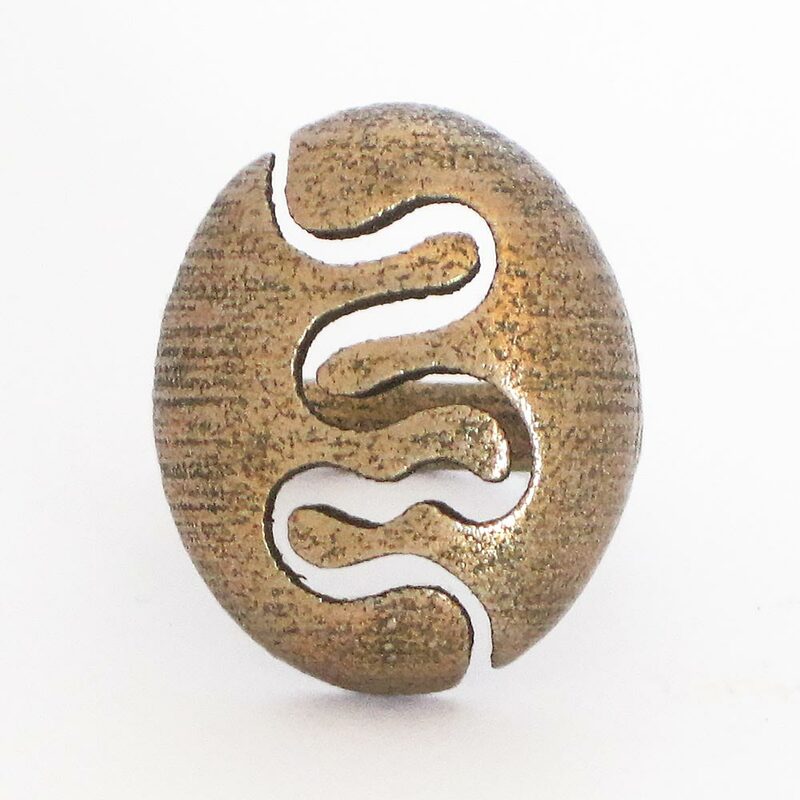 This gives them a unique finish and is great for aesthetic purposes, but will wear off over time as they are exposed to friction. 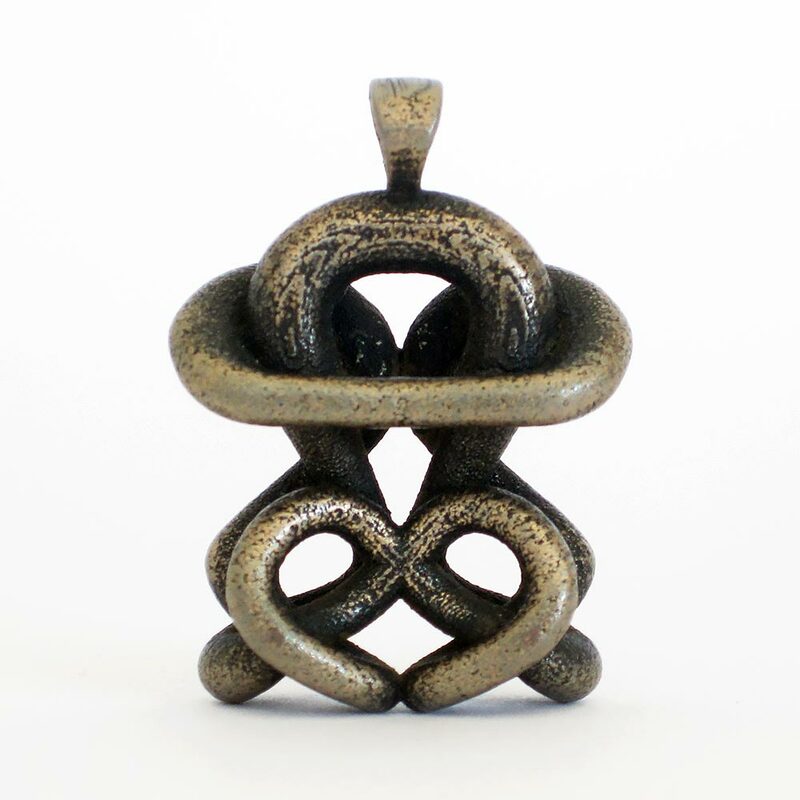 Additionally, the jewelry is coated in a clear sealant to help prevent oxidization, but over time it’s natural for a patina to develop, which furthers the uniqueness of each piece. More than ten percent of people have nickel allergies. If you are allergic or unsure please choose another finish. Do you need a different ring size? Would you prefer solid platinum or gold? Email a request to sloris@sloris.com and we’ll be happy to make it for you.